Only rarely do we make a trip that embodies the true spirit of traveling. Sometimes a city break fits the bill. We hope our selection of cities will help you find your dream escape. 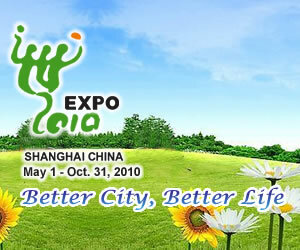 We have deliberately excluded the hustle and bustle of metropolises such as Beijing and Shanghai. Guilin (桂林) in Guangxi Province is to home to some of the most spectacular scenery in China. 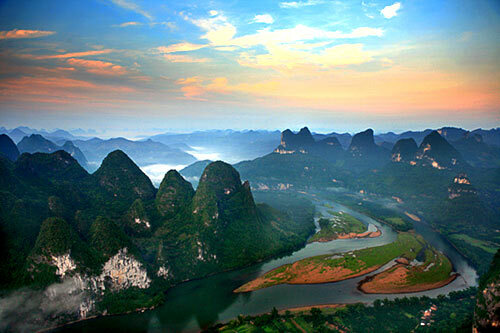 The dramatic karst peaks in and around the city are most people's idea of a "typically Chinese" landscape. In recent years, the nearby town of Yangshuo (阳朔) has become very popular with backpackers and a thriving industry of hostels, hotels, restaurants, bars, and trekking companies has grown up there. The best way to get to Yangshuo is to take a boat down the Li River (漓江) from Guilin. Bamboo rafting on the river or cycling through the countryside are ideal ways to take in the scenery. For the more adventurous, local companies will take you rock climbing or organize a trip down one of the many local cave systems. To experience the local culture why not take a trip on the river with the cormorant fishermen or take a class in calligraphy or cookery. For those in the mood for a show there are regular outdoor performances of Zhang Yimou's folk music extravaganza, "Third Sister Liu."